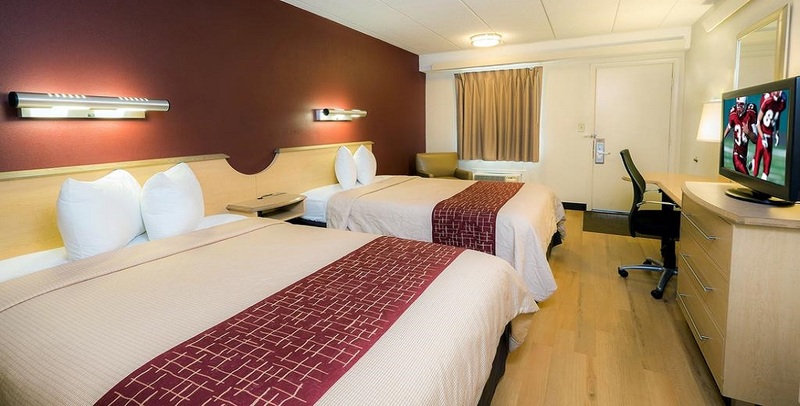 Connect with luxury and comfort in our newly renovated guest rooms, which feature sleek modern layouts and sweeping views of the Jersey Shore. This is your opportunity to unwind with us. 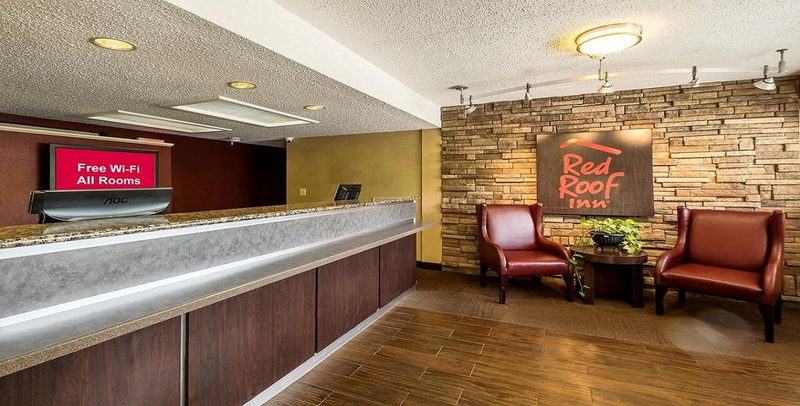 People choose Red Roof Inn for location, decor, professional service and accommodating amenities. 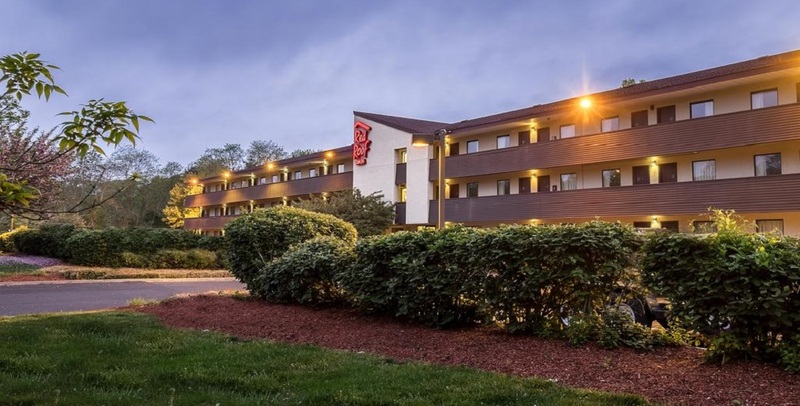 In close proximity to our Tinton Falls Hotel, you will have access to popular attractions in the area such as Monmouth University, Brookdale Community College, Asbury Park, and the Stone Pony. Pack your bags and see what the Jersey Shore has to offer! Home: (noun) - Where your Wifi connects automatically. 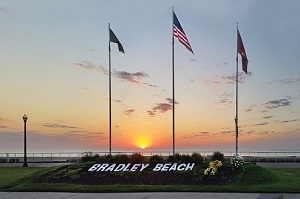 Welcome to your home away from home at the Jersey Shore. Our hotel is the perfect place to stay as you explore this beautiful beach town. We offer amenities like free parking, free coffee in the lobby and accommodate one pet per room, so you don't have to plan a vacation without your furry friend. Prepare to cuddle up in bed and receive a happy night's sleep. 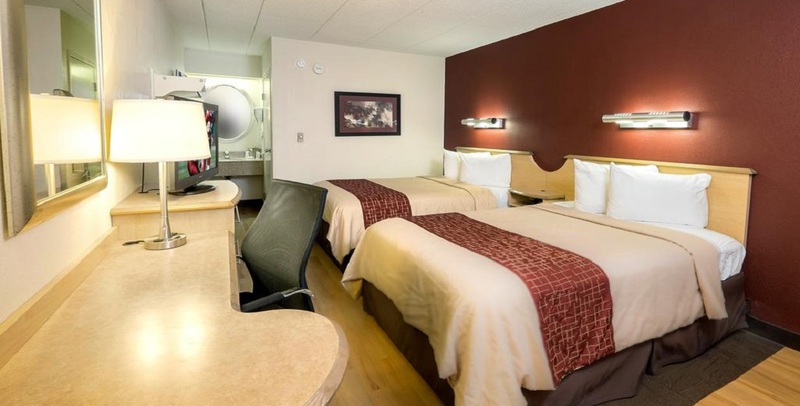 When planning a trip, hotel amenities are just as important as the price. When guests take advantage of our discounted rates, they also become immersed to several amenities. 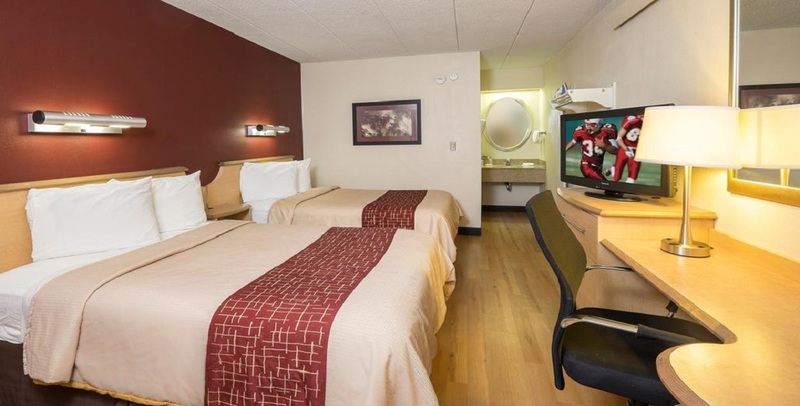 These in-room amenities include a microwave, in-room safes, mini-refrigerator, flat screen TV, comfortable bedding, new modern design flooring, and a soothing sitting area. 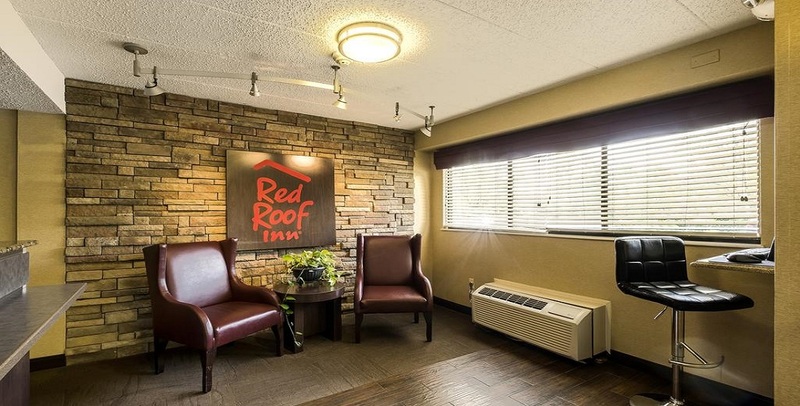 You will be pleased with your stay at Red Roof Inn Tinton Falls. Skip the diet – you have to make a stop at all the local restaurants in Tinton Falls, NJ. Food is our common ground, when it comes to a universal experience. At the Jersey Shore, we offer nothing but the best tastes and menu options. Aqua Restaurant & Lounge, Applebee's, Kwong Fa Restaurant, Maurizio's Pizzeria & Ristorante, Ruffino's, Joe's Sports Bar, Bananas, Carousel Snack Bar, Cold Stone Creamery, and Chili's Grill & Bar will satisfy all budgets and appetites. 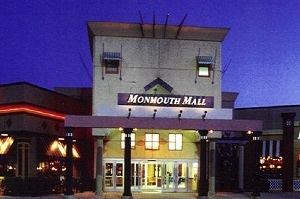 If shopping is what you are looking for, Monmouth Mall is less than three miles away from our hotel and the Jersey Shore Premium Outlets is right around the corner. Tinton Falls Centre and Tinton Falls Plaza have the best shopping in Tinton Falls, NJ, for nice restaurants, breweries, flower shops, antiques and more. Grab the family and pack the bags, it's time to have an outdoor adventure. 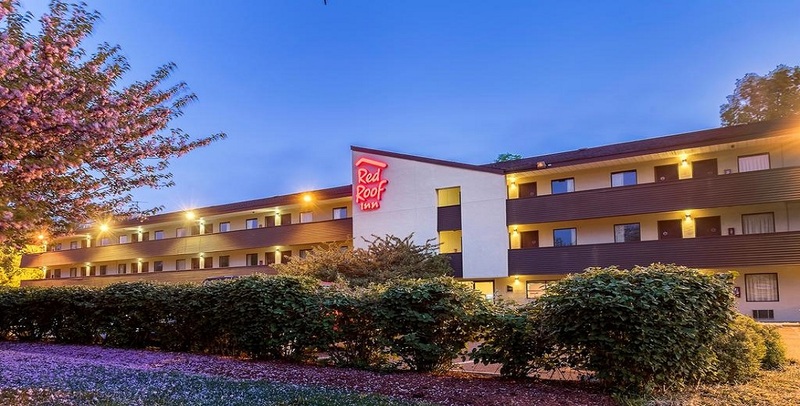 If it is a relaxing day in one of our many state and county parks to a beautiful day at the beach, Red Roof Inn Tinton Falls- Jersey Shore has it all. Experience Ocean Grove Beach, Bliss Price Arboretum and Wildlife Sanctuary, Twin Brook Golf Center, LBI Parasail, and Barnegat Lighthouse when you step into what town has to offer. Here at Tinton Falls, bars are at your doorstep and entertainment at your fingertips. Looking for a lavish and pleasant nightlife experience? Players Billiards Cafe, Hilton Honors Club Lounge, The Headliner, Watermark, Palumbo Restaurant, and Lounge & Banquets offer a perfect location for a relaxed evening with friends and loved ones. Get dressed up, grab your friends and experience a night of pure bliss. In 1984 the borough of Buena purchased the 100 acre Blackwater Pond Park site. In April 1991 the Buena Nature Club was founded, and in cooperation with the borough and the Recreation Commission, maintain the park as one of the only preserved natural ecosystems in the Borough. 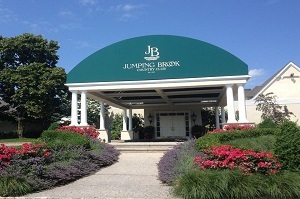 Jumping Brook Country Club is a private Neptune, New Jersey golf and country club featuring golf membership plans and charming banquet facilities accommodating over 400 guests. For a most memorable event from weddings to golf outings to kosher events, Jumping Brook Country Club in Monmouth County offers casual elegance and stunning ambiance that will make a lasting impression. The Club's finely manicured golf course has made it "the choice of clubs to join" at the Jersey Shore. Jumping Brook is the best private Club selection you'll ever make. All children are welcome. Free! One child under 18 years stays free of charge when using existing beds. Extra beds are not available. Cribs are not available. There is no capacity for extra beds in the room. Number of floors - 3. I was looking for an inexpensive property so this met my needs. It was clean and the clerk at the desk really went out of his way to help with out with a double booking I accidentally booked. 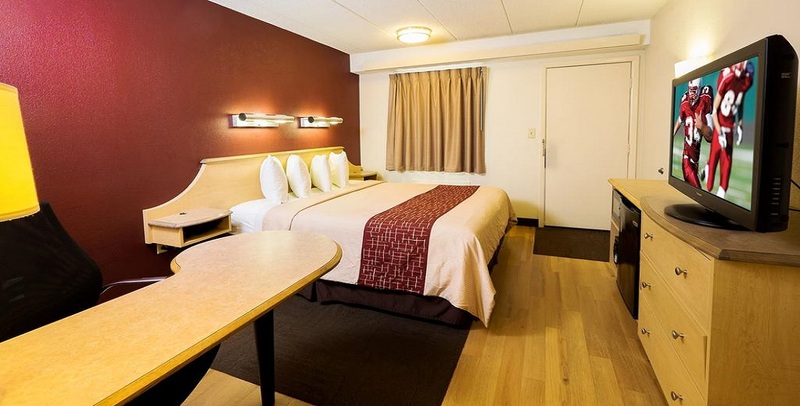 Very nice room set-up: large, comfortable king size bed ,large peninsula desk, mini frig, microwave & safe. Bathroom small but functional.Quiet location that backs up to woods. Would definitely stay here again. I have stayed here a dozen times over the past few years. Staff is polite and on duty 24 hours and the rooms are always clean. This is why I keep coming back. I had a very nice stay. The area was the setting for a very romantic weekend. I would definitely stay again. Couples getaway special relationship building.Nice hotel. Clean.The room was clean and comfort and the situation was great. The staff was polite! I enjoyed my stay at the motel. The staff was very warm and welcoming to me when I checked in. I had left a shirt in the room when I departed. The housekeeping staff turned in it and I was able to pick it up on my way back. I did appreciate that and I was very happy they held it for me. Will definitely consider staying there again in the future if it's needed. 7 days is a long time in a hotel but this location always makes it feel more homey than other places. The location is quiet, off the main road but still close to everything that is needed. 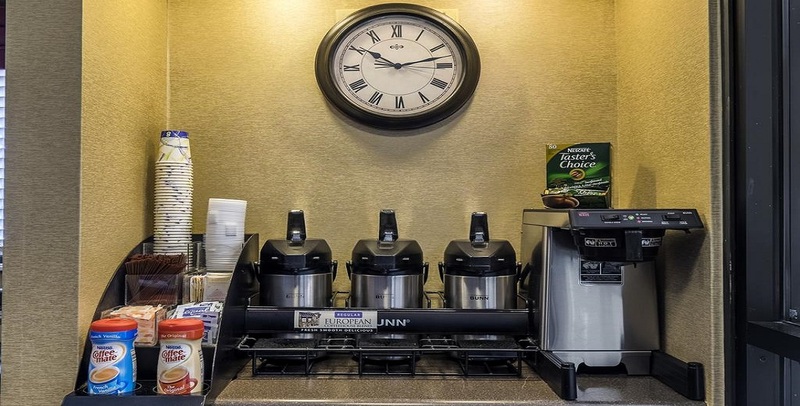 The staff is always pleasant and helpful; the check-in and check-out process is smooth. 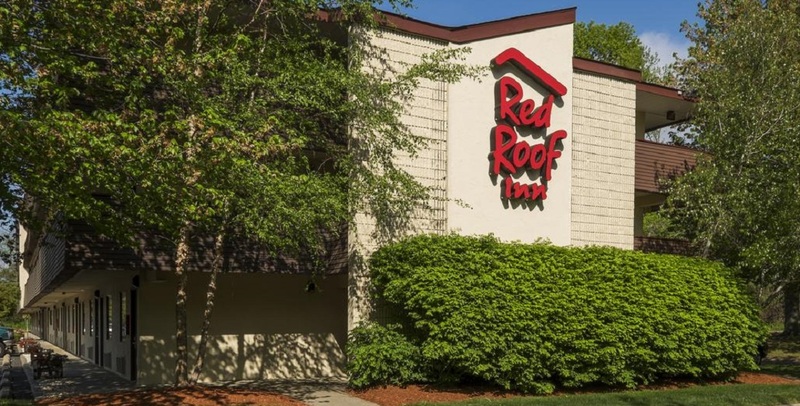 This is not my 2nd stay with Red Roof and will always be a primary choice when I am staying in the area. would book here again. Great staff. 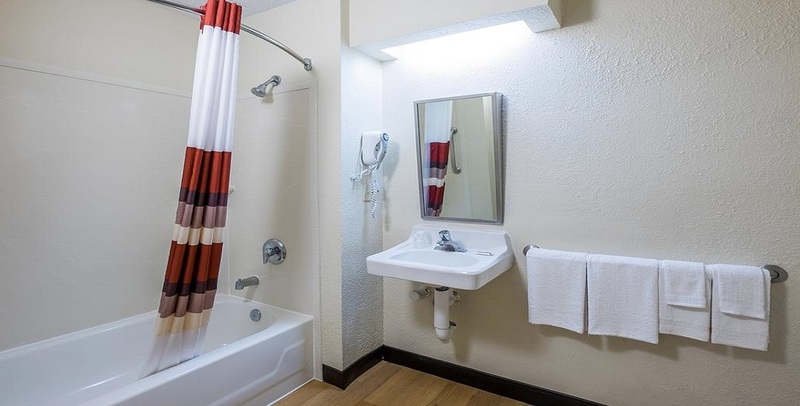 Room was spacious and big bed.Safe and decent area.Close to everything that the area has to offer.Front desk staff and housekeeping are very attentive for a budget motel.Or maybe i bring out the best in them.